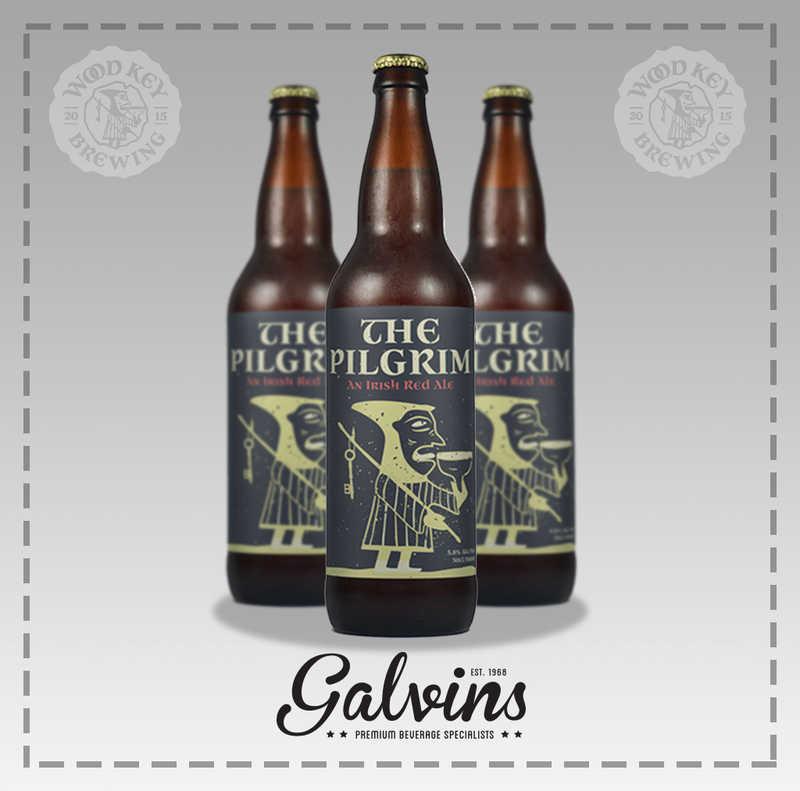 ‘The Pilgrim’ An Irish Red Ale from Wood Key Brewing | Galvins Wines & Spirits | Distributors of award winning Irish and International Craft Beers and Ciders, Small Batch Spirits and Exclusive Wines. Translucent deep chestnut brown with beige lacing. Rich caramelised nutty malt, touch grainy, camp coffee, burdock. Full bodied with moderate carbonation, earthy, woody porter like malt complexity, sweet toffee and red berries, bread crusts, quite drying and toasty.